Hi lovelies! Last year I shared a post on how I edit my blog and Instagram photos but as my editing has changed a lot since then I thought I'd do an updated guide! Just a little disclaimer before I begin, I'm not claiming to be a brilliant photographer or editor but I know posts like this are really helpful for me when I want to change how I edit and need some new inspiration. 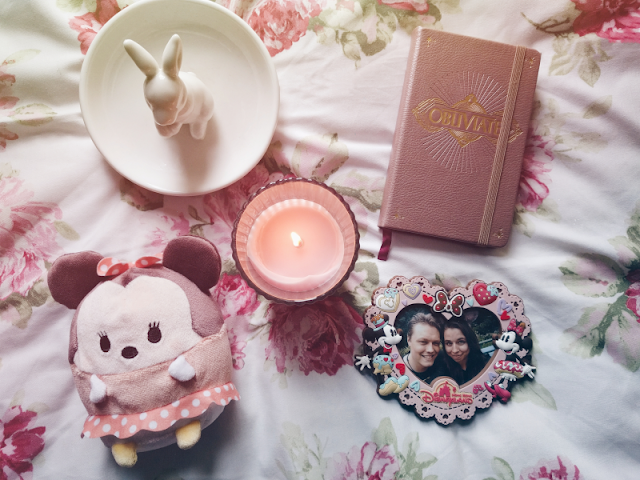 So without further adieu, here is how I currently edit my blog and Instagram photos! Apps: Almost all my editing happens on my phone so once I've snapped a picture (I'm using this one I've taken above) I mainly use the following apps to edit it: VSCO, Touch ReTouch, Afterlight and Instagram. Luckily I believe all of these are available on both the Apple App Store & Google's Play Store so hopefully most people should be able to access these! 1. VSCO: To begin with, I always start out by importing the image to VSCO and adding a filter and adjusting the brightness. The filter I use is called 'HB1' and depending on the image, I usually turn the intensity of this down a bit, usually between 8 and 10. I think this may be one of the filters you have to pay for unfortunately but I wouldn't be without it! I also adjust the exposure to make the photo brighter, again depending on the image this could be anywhere between 1 and 4. For this photo the intensity of the HB1 filter was 10, and the exposure 1. 2. Touch ReTouch: Another app I also sometimes use is Touch ReTouch to remove any unwanted parts of the photo, like a stain on your clothes, or a mark on a book cover. For the photo above I removed a few creases from my duvet cover to make the image look a little cleaner. I explained how to use this app in my previous post so if you're unsure how it works you can see my explanation here. 3. Afterlight: After this, I usually then import the image to Afterlight to add light leaks. I think this helps make the photos look dreamier which is right up my street! I usually play around with the different light leaks until I find one that blends in with the image. I still don't always get this right haha but I try to find a leak that you can't really see the outline of in the photo if that makes sense? I turn the intensity down on the leaks to 50 and I only use one, maybe two, on each photo so they don't overpower them. For the photo in this post I used the number 26 light leak (my favourite one!). 4. Instagram: Finally, I use Instagram's Gingham filter turned down to 50 to complete the dreamy-look. As I haven't found an easy way to use Instagram's filters without posting the photo yet, if I'm just editing a photo for a blog post then I have to delete it as soon as it's posted! So there we go! 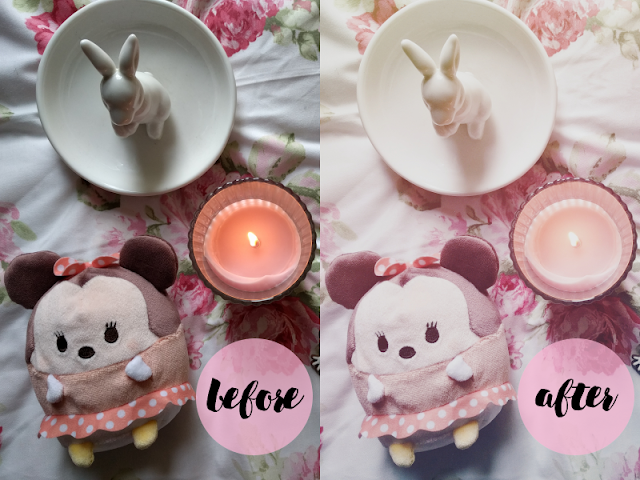 I hope this helps anyone who's looking to change up their blog and Instagram photos!